Enjoy the long days of summer while they last! Back to school will be here before we know it! 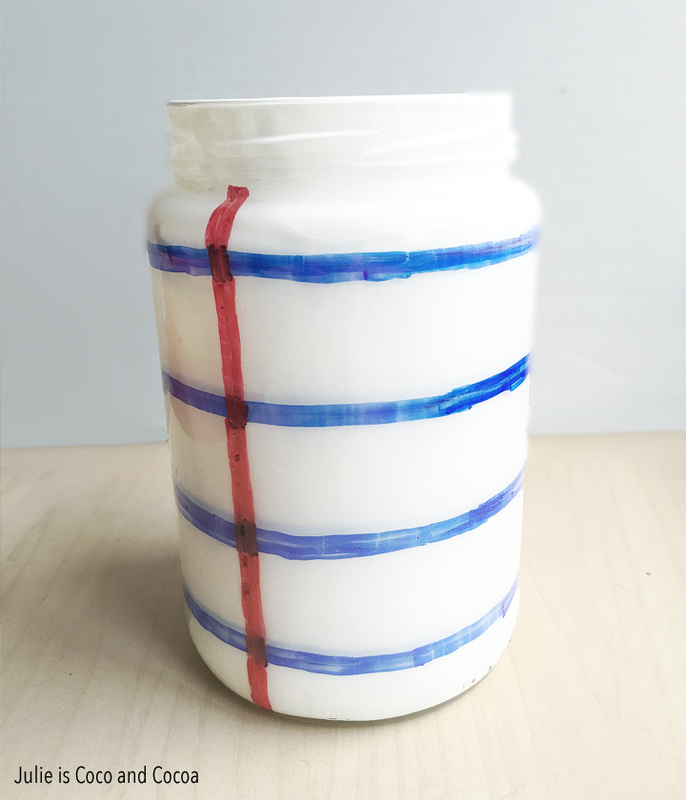 I’m getting ready with a fun craft, a Notebook Paper Mason Jar! Perfect for storing pens and pencils. We have a lot of different school schedules at our house. Where we live elementary, junior high, and high school all start at different times. My high school student begins his day first, and even earlier than other high school students because he takes an additional class before the standard school day. After high school the elementary schools begin. Once Youngest Twin is out the door I start getting Littlest ready and take him to school. I also home-school Oldest Twin, so after the other boys are at school I get him up to start his day. It’s a lot of different schedules to keep track of sometimes. But I am incredibly thankful for the ability to give each one of my kids the school experience that is best for them. Littlest attends a school with an emphasis on fine arts. He spends part of the day learning in Spanish. He also takes theater, piano, and Chinese classes at school. The high school offers a wide range of electives that Youngest Twin has been able to choose from. This last year he took a welding class and his second semester project was a portable grill that we’ve been able to enjoy using. Oldest Twin struggled in public school because of his autism. I have been able to teach him at home in an environment that is much better for him and we are all happier. 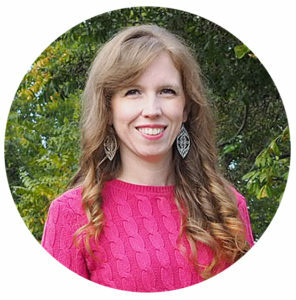 Things can get crazy in my office/our home-school room, so I try to come up with ways to keep it organized. 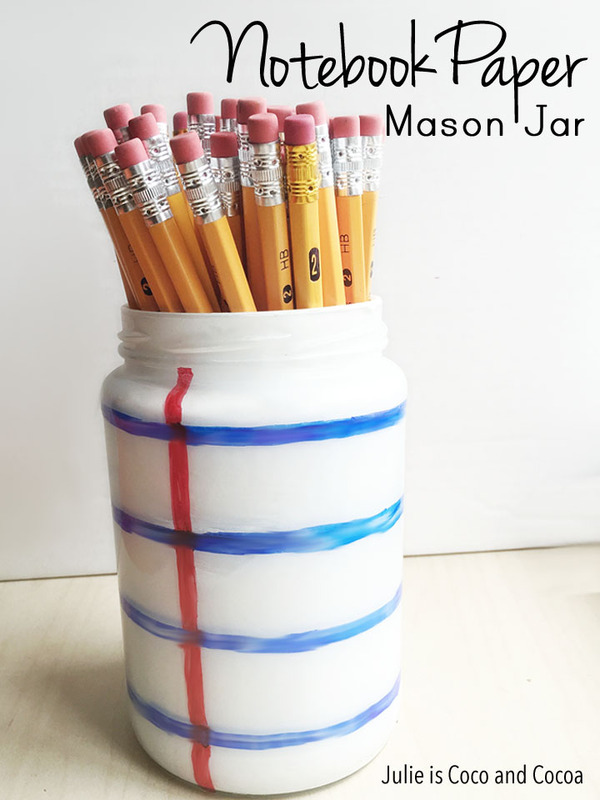 I think this Notebook Paper Mason Jar Pencil Holder and would look great on any teachers desk! I spray painted the glass jar and let it dry. While I often spray paint the inside of glass jars, if you want to use this as a pencil holder I would recommend spray painting the outside of the jar. 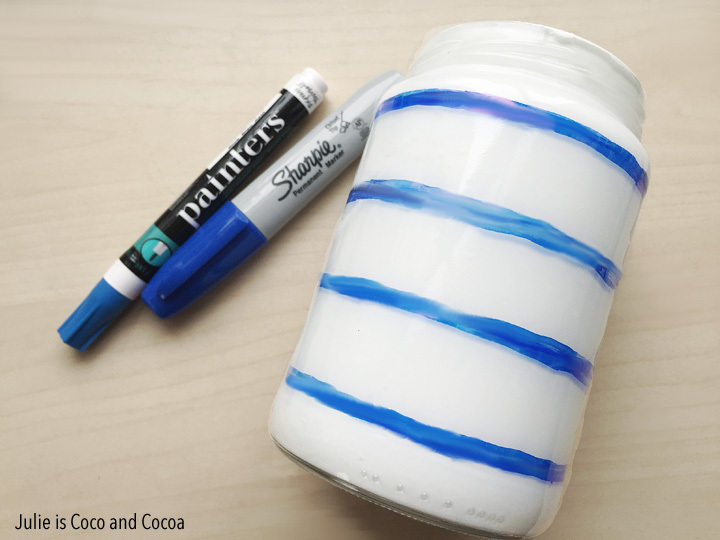 (Inside the jar the pencils will scratch up the paint.) Then I used the fine-tipped marker (you could also to a pencil) to plot out where the blue lines needed to go. I went over the thin black lines with thick blue lines to create the lines of the notebook paper. Once the blue lines were dry I added the red line. 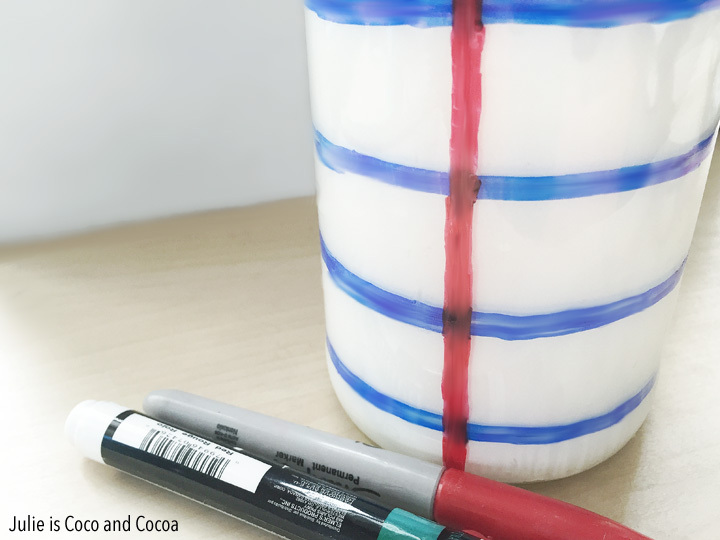 I actually put a red line on either side of the jar so one is always visible. You could do one or two red lines. Once the red lines were dry I could add in all my pencils. 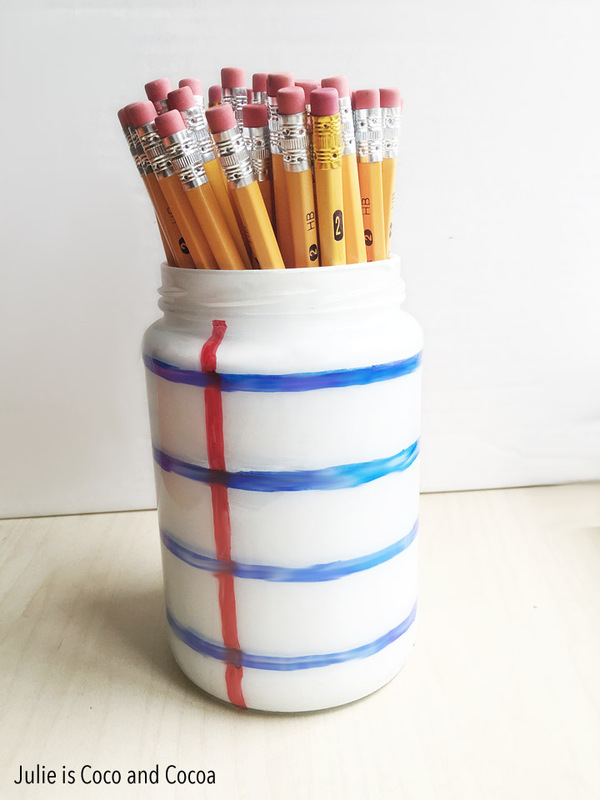 A notebook paper mason jar makes an excellent pencil holder, don’t you think? Of course you could put a multitude of things inside your jar, including a bouquet of flowers or turning it into a succulent planter. All of which would make great teacher gifts! Very sweet idea for a teacher! I don’t know a teacher who’s heart wouldn’t melt when I student brought this to the class. Oh my word! What a gorgeous jar! I absolutely love how it came out! Testing is the worst… but its mandated so that’s that. Teachers make so many creative efforts to ease the pain out of it! These jars are so cute and clever! Love how they look! Recycle and reuse. Great jar for the pencils, makes it so much prettier than the usual bucket. I just LOATHE standardized tests. My kids are basket-cases over them. Now this jar, that’s super cute! What a cute idea! This would be perfect for our homeschool room. No testing here, but good luck to you guys! Standardized tests can be a pain. On the other hand I am loving your simple but effective jar! My daughter was taking tests last week and has more in May. She’s not loving this time of year. 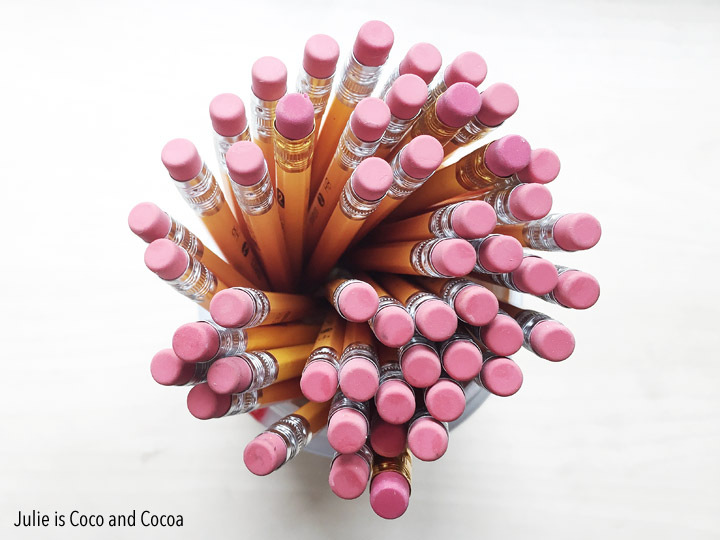 This is a great jar for pencils. I really like it. That’s super cute! Great gift idea for teacher application too! So adorable! 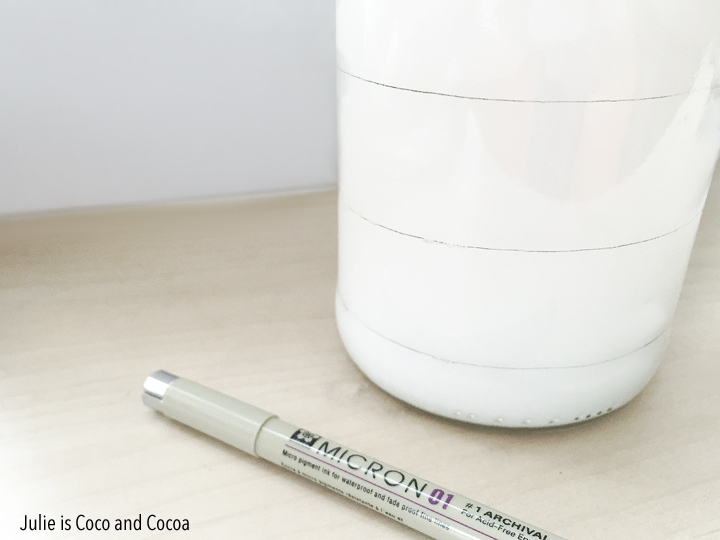 I love this DIY…very simple to make and absolutely useful! Mason Jars are so versatile. Thanks for sharing another idea on what to do creatively with it! I love this, the design is super pretty! Very simple to make to – thanks for sharing! What a cute idea! It’s adorable and would look particularly cute in a desk space for homeschoolers.